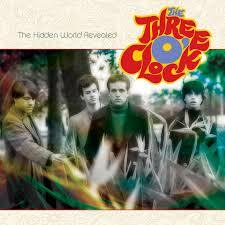 Discussions Magazine Music Blog: An EXCLUSIVE Interview with Danny Benair of THE THREE O'CLOCK! An EXCLUSIVE Interview with Danny Benair of THE THREE O'CLOCK! The L.A. music scene in the late ‘70s and early ‘80s was one of the most exciting in the country. While the press may have focused a little more on the thriving New York scene, Los Angeles was every much it’s equal. Apart from an abundance of pioneering Punk acts, L.A. was the a breeding ground for Power Pop, Post Punk, New Wave and Metal bands as well. There was always something exciting happening every night of the week. Bands like The Knack, X, The Plimsouls, The Go-Gos, Black Flag, 20/20, The Minutemen, Van Halen, The Germs, The Bangles and others helped to introduce a new generation to the energy and excitement that burned in the belly of the City of Angels. In the midst of this ever-evolving musical movement, scenes and styles began to converge, creating entirely unique genres. One of the most influential of these ‘new’ genres was The Paisley Underground. Combining elements of ‘60s Mod, Garage, Folk Rock and Psychedelia, The Paisley Underground was spearheaded by band like The Three O’clock, Rain Parade, Green On Red, The Dream Syndicate and The Bangles. At first, the bands simply shared a musical vision, but once Three O’clock vocalist Michael Quercio coined the term Paisley Underground to describe this group of like-minded musicians, it became one of the most talked about movements of the early ‘80s. While The Bangles may have been the biggest band to emerge from the scene, The Three O’clock remained Its heart and soul. Beginning life as The Salvation Army, they changed their name to The Three O’clock in 1982. The quartet of Quercio (vocals/bass), Louis Gutierrez (guitar/vocals), Danny Benair (drums) and Mike Mariano (keyboards) released their debut EP, Baroque Hoedown, on Frontier Records later that year. The EP earned the band critical praise while the track “With A Cantaloupe Girlfriend” received heavy rotation on KROQ, Southern California’s most influential radio station. But by 1986, Gutierrez was gone, replaced by Steven Attenberg for 1986’s Ever After album. Two years later, Attenberg jumped ship and Jason Falkner stepped in as guitarist. The band signed with Prince’s Paisley Park label and released the Vermillion album in 1988, but had already lost their commercial steam and split up the following year. While each of the band members achieved their own personal successes since they split, fans continued to hold out hope for a reunion. Unfortunately, the band repeatedly turned down offers to perform together again. That is, until 2013 when they surprised their legion of fans by playing both weekends of the Coachella festival, appearing on live on Conan (see bottom of post) as well as selected dates in Pomona, L.A. and San Francisco. While the reunion was brief, there have been rumors of further activity under the Three O’clock name. SPAZ: How did you decide on which songs would make The Hidden World Revealed? DANNY BENAIR: It was a project I have worked on for about 10 years. Pat Thomas at Omnivore picked tracks and we stuck to studio recordings and left off live songs. SPAZ: You all came from different musical backgrounds. At which point did you know that the four members finally clicked? DANNY: It worked right away for me. We all brought something different to the band. SPAZ: Are there a good amount of unreleased songs in the TOC vaults? DANNY: There are more. We have many demos and tracks left off the IRS and Paisley Park records. SPAZ: Do you remember the sessions for a lot of these recordings. DANNY: Pretty much. Recording at Earle Mankey’s, where most of this was recorded, was special to all involved. SPAZ: There were radio hits like “Jet Fighter” and “With A Cantaloupe Girlfriend” that have become longtime favorites for fans. Were you sometimes perplexed by what songs became your ‘anthems’ and which songs were generally overlooked? SPAZ: What are some of the tracks that you think might surprise people? DANNY: There are songs that will give fans an idea of how the songs were crafted. Different lyrics, etc. SPAZ: Thirty years on, this stuff still sounds fresh & exciting. Why do you think that this material has stood the test of time? DANNY: Thank you! Not sure why but we’re glad that people like it. We are always pleased to see young kids enjoying it! SPAZ: What was it like working with Frontier Records back when many of these recordings were made? That must have been an exciting time in the indie label world. DANNY: Very much so! We were on the go non-stop, playing and touring all the time. Excellent times! SPAZ: What was the TOC’s relationship with other L.A. bands like during your time together? Particularly, bands outside of the ‘Paisley Underground’ scene… Were there any bands you got along with more than others? DANNY: We did not play with that many but we seemed to get along with most bands. We never really had issues with other local groups. SPAZ: Can we expect to see some more Three O’clock reissues in the future (particularly the albums that are out of print)? 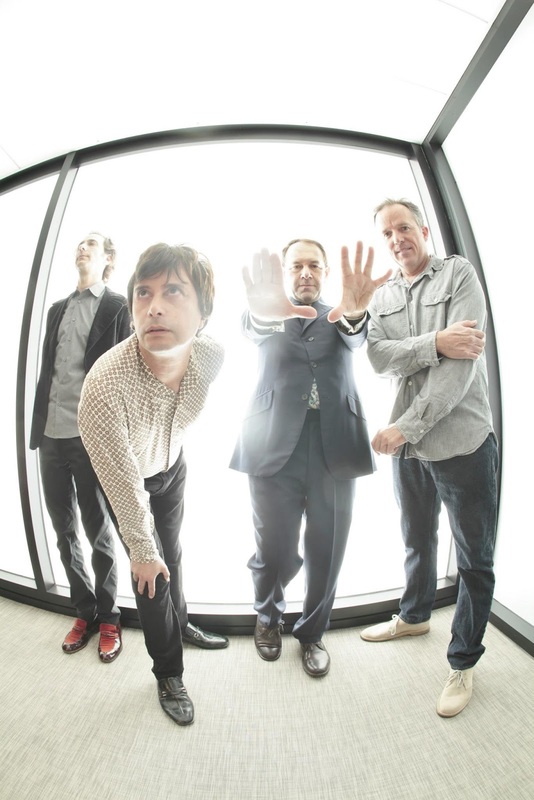 SPAZ: You recently got back together for some reunion shows. How was the experience of playing Coachella? DANNY: It was really nice. The whole month was amazing and overwhelming. SPAZ: Are you surprised by the amount of excitement your mini reunion tour generated? SPAZ: Any chance you’ll be doing more shows when this new retrospective hits the streets? SPAZ: Are there any plans to reactivate the Three O’clock in the future? DANNY: Never full time… but maybe a bit. SPAZ: What is next for The Three O’clock? DANNY: Release the record and work on something special that will be announced in a few months. SPAZ: What CDs, DVDs or LPs are currently spinning on your players right now? I attended the SF show @GAMH. with Flying Colour as the opener (& with Chris von Sneidern on lead). Superb night. The Three O'Clock were over the top, steller. I was raising a family when the Paisley Pop explosion occurred (& in Northern Cal), but what I saw & heard on Geary St was incredible - the guys still can rock. Psychedelic to the core. Thanks for reading and most importantly for sharing! Very much appreciated!